About: The Dakota is a peaceful community where nature and nurture meet. Situated in a natural, private setting within the city limits of Auburn, Alabama, The Dakota is nestled among meandering streams, climbing ridges, rolling hills, and stone outcroppings. The Dakota’s approximately eighty acres are actually three miles from downtown Auburn, yet you feel as if you are miles from civilization. With walking trails, creeks, and a common amenity area of 11 acres, it is easy to forget that the University, outstanding public schools, and the necessities of modern life are just around the corner. The Dakota consists of twenty six tracts amid 110 acres of undisturbed land. The lots range from two to five plus acres of selectively managed forest. The community will benefit from amenities such as the rustic pavilion and amphitheater on a common eleven acre preserve that is nestled inside a bend of the rambling Saugahatchee Creek. Residents will have access to an organic fruit and vegetable garden among some of the most fertile soils in the Lee County area. With accessible walking paths tracing the perimeter of the property, The Dakota encourages outdoor living with views of a cascading waterfall, natural trail bridges, wetlands, and wildlife, as well as the general fellowship among the community. Early in 2016 twelve additional lots are being developed in the Montana Way section of The Dakota. With a minimum size of two acres and a private street nestled in the trees this new section is very special. Highlights: Uniquely positioned within some of the most private and beautiful landscapes that the Auburn area offers, the vision for The Dakota emphasizes an ongoing dedication to deliver the best opportunity for peaceful, yet inspired living. 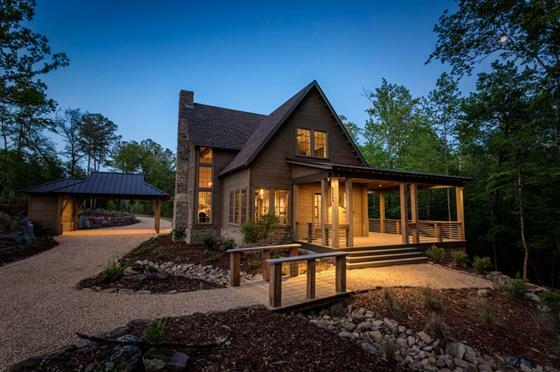 Minutes from the Auburn University campus and nestled along the Saugahatchee Creek, The Dakota's focus remains bold, but simple: to provide a higher quality of life through a delicate balance of nature and architecture. Location: The Dakota is located off Richland Road, just 1 mile west of Shug Jordan Parkway. It is just past Richland Elementary School and the Auburn University Tennis Center.